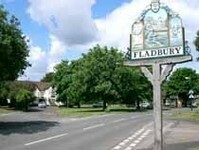 The Anchor Inn sits at the heart of the picturesque village of Fladbury in the beautiful Vale Of Evesham. A traditional village pub, The Anchor Inn offers a warm and friendly welcome to customers old and new. ​We take a pride in the quality of our Beers with a wide choice to suit everyone, complimented by our regular guest Beers, Doombar and HPA. In aid of Fladbury School Who is going to win this time? Sign Up for our Newsletter to get regular information on special events at The Anchor.